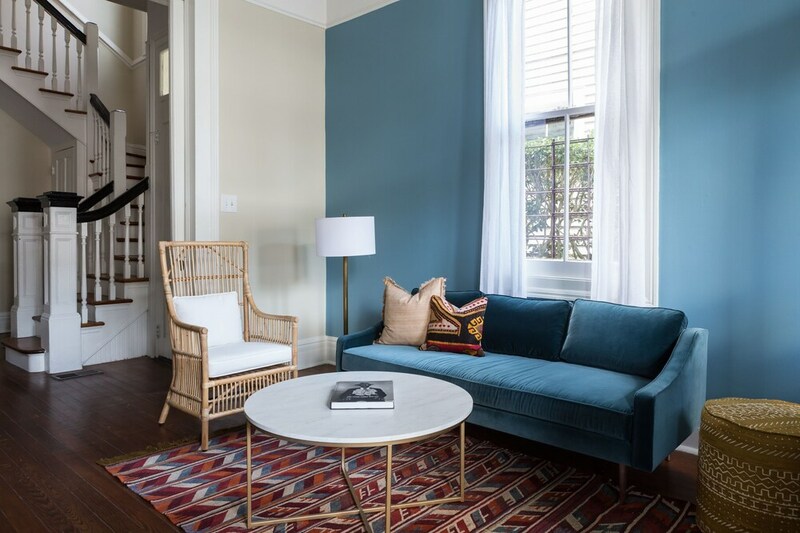 Located in Garden District, this vacation home is adjacent to Magazine Street and within a 15-minute walk of popular sights like Lafayette Cemetery. The 4-star vacation home includes a kitchen, a balcony, and a living room. The vacation home is air-conditioned and features a kitchen, 2 bathrooms, and a balcony. There's space to spread out with 3 bedrooms, a living room, and a dining area. A flat-screen TV comes with cable channels, and guests can stay connected with free WiFi. The bathroom offers hair dryers and free toiletries. Other standard amenities include a washer/dryer, a coffee maker, and an ironing board. The nearest major airport is New Orleans, LA (MSY-Louis Armstrong New Orleans Intl. ): 25-min drive, 16.2 mi/26 km. A front desk is not available at this property. After-hours check-in is not available at this property. Guests arriving outside front desk hours will need to wait until the next morning to check in. Guests must make arrangements for check-in by contacting the property in advance of arrival using the information on the booking confirmation. Guests will receive an email from the property manager with check-in and check-out instructions. Guests may be asked to provide a copy of their government-issued photo I.D. after booking. The property will provide check-in and access instructions 3 days prior to the date of arrival. For more details, please contact the property using the information on the reservation confirmation received after booking.